I remember taking my first ever business class in grad school, marketing administration. The class essentially changed my life and led me on the road of digital marketing. My undergrad was so full of math, science and engineering courses there was no time for any type of business courses. In the marketing class most of the topics were focused on marketing for large corporations, however, the one thing I realized is everything I learned could be adapted to the freelancer or solopreneur who is hustling to make a success out of their business. Earlier I talked about choosing your target audience. The 4 principles mentioned above are the 4 paths to reaching that target market. You cannot freestyle your marketing you need a plan. Planning is the catalyst for creativity in your marketing. You cannot market what you don’t understand. A throughout understanding of your product is necessary if you want to market that product to entice others. 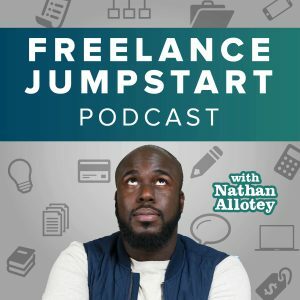 In the case of a freelancer many times that “product” is you or a particular service you have to offer to your clients. What will be the name of your product? How will you approach quality? How will you handle feedback from clients? What precautions will you put in place to protect your service? Your product (or service) as has a direct impact on who you are going to market to. Underprice and you end up looking too cheap, overprice and you begin to look a bit greedy. Take the time to understand your target market and adjust your pricing to create a win-win for you and your client. What can you learn from the pricing of your competitors? Will you offer discounts / sales? Packaging pricing, per project or set pricing? What location or locations will your brand interact with others? This could be in person on the internet or phone call. Whichever method(s) you choose to understand that you can show this as a benefit when marketing as a freelancer. Let’s take client support for example. Most of those issues are handled through email. In our technological age people are moving away personal touch towards automation. If you enjoy face to face conversations this is an opportunity to show in your marketing your clients can speak to you directly. Where will you set up shop? Online? In Person? Inventory, how will you management your time? Skype calls? Client meetings? Email? Phone Calls? Choose a central goal for your overall promotional strategy. If you choose Facebook advertising or finding people online great write it down as a part of your strategy. If you favor meeting people in person and networking decide how many networking events you plan to attend for the next 3 months and go for it. What social media platform(s) will you use to interact with your audience? It’s easy to read and to talk about wanting to plan but now is the time to take action. Write down the 4Ps and answer each of the questions presented above. You’ll find that once you begin to answer these questions you’ll have the markings of a marketing plan of action and you won’t be wondering in the dark.